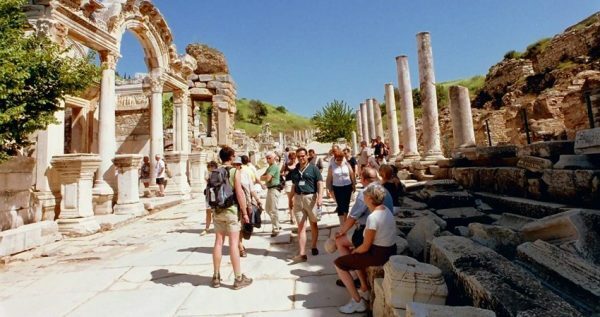 Our marvelous Marmaris Ephesus Pamukkale Tour consists of visits to two incredible and unique places. You will get the opportunity to learn more about Turkish culture, customs and countryside. 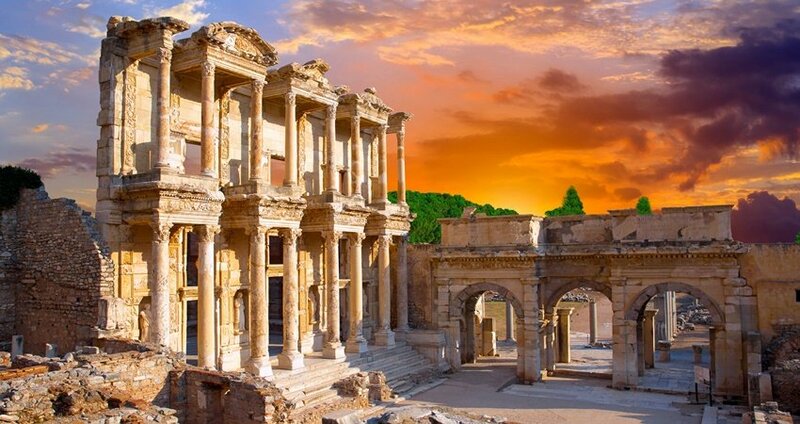 You are going to visit the ancient city of Ephesus, the House of Virgin Mary on the first day and Pamukkale, and its captivating surroundings of Hierapolis and Necropolis on the second day. 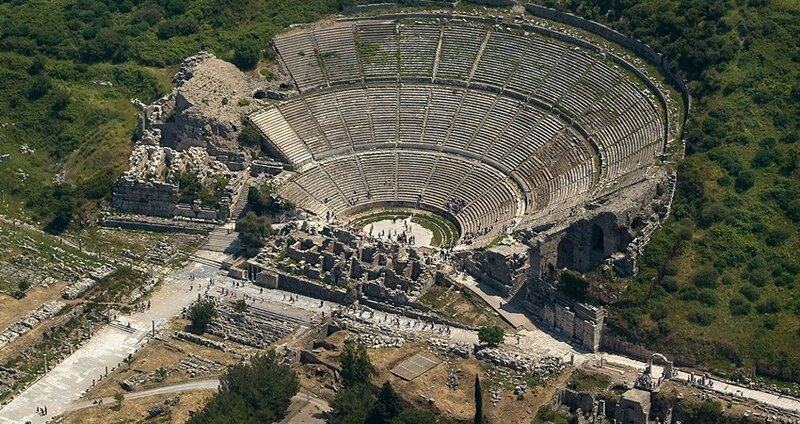 Ephesus is located near beautiful city of Marmaris. It serves as a stunning rural contrast to one of the most modern cities on the Turkish coastline. Once our driver picks you up, you will go for a two and a half hour long drive in our spacious and comfy vehicle. This tour is a fantastic chance to learn some truly amazing and fascinating facts about the historical and cultural life of Ephesus in antiquity. Our professional, English-speaking tour guides will be with you to help you and answer all of the questions you might have, they will make sure your tour goes as smooth as possible. On day two we will visit the magnificent Pamukkale. Once we arrive, you will get opportunity to enjoy the astonishingly beautiful view of mineral waters running around you. Pamukkale famous for its white travertines and rejuvenating thermal springs, is truly a natural wonder. Pamukkale actually means “The Cotton Castle“, and it got its name because of its magnificent white terraces. 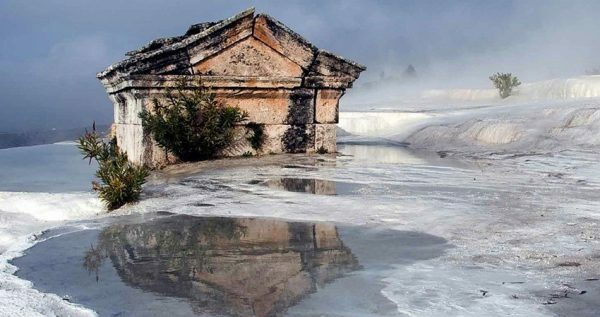 Pamukkale is also listed by the UNESCO as a World Heritage Site. 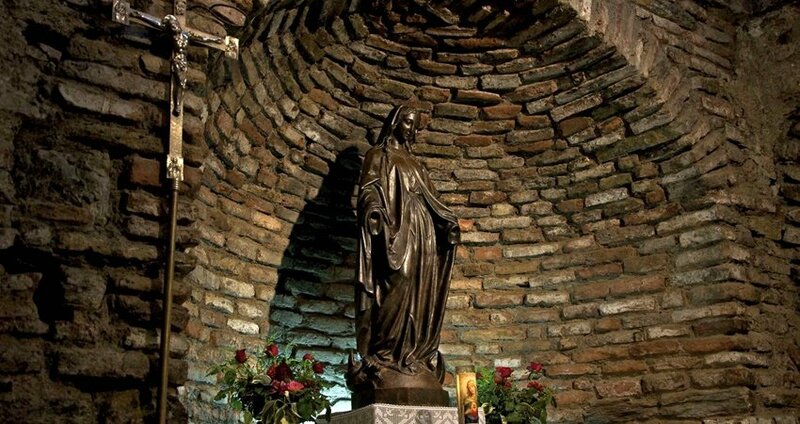 These are just a few more reasons to visit this terrific site. 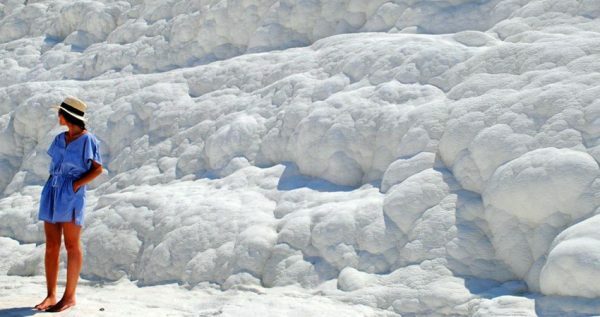 Our tour to Pamukkale lasts around three hours and right at the beginning our professional tour guides will give you all of the necessary information about the site itself. 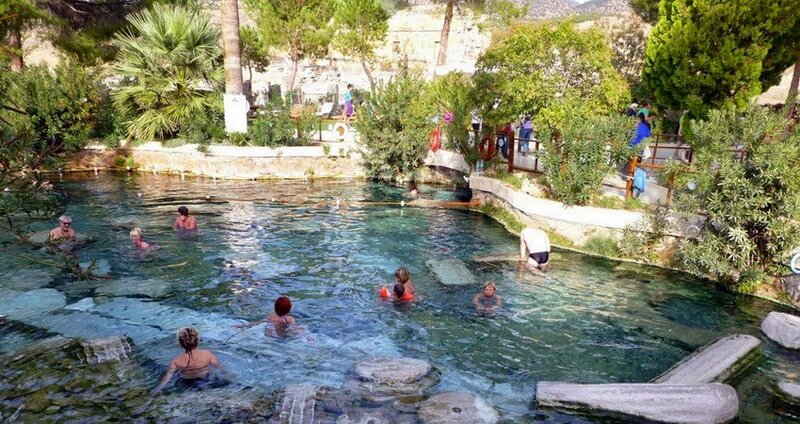 Afterwards, you will get some free time to explore Pamukkale by yourself, so you can go sightseeing, take a bath in its numerous, breathtaking pools, such as the famous Cleopatra’s Pool. 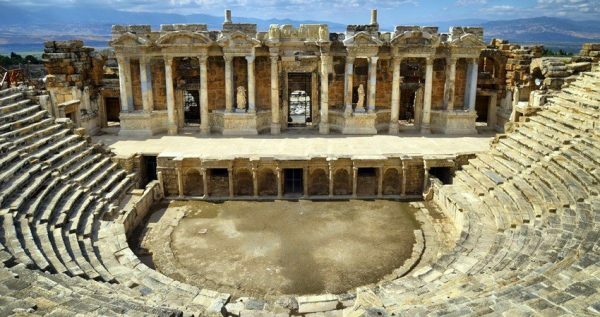 Within Marmaris Ephesus Pamukkale Tour price includes all entrance tickets, helpful tour guide who speaks English, and even two lunch, two breakfast, one dinner and over night stay in a small hotel at Pamukkale. Book the two days tour today and don’t miss the great opportunity to take a stroll through Turkey. The 2 days tour will give you the chance to explore Ephesus & Pamukkale in two days. Save your money and time so join us today. After leaving Marmaris early in the morning, we will stop at Mugla for an open buffet breakfast. Breakfast is included in the tour price. Upon our arrival to the charming town of Selçuk, we will stop for a 30-minute comfort break. Here you can use toilets and freshen up before we move on. We will stay in Ephesus for two hours, during which you will get to walk through some well-preserved ancient ruins, as our skillful guides tell you about the ancient culture, history, architecture, mythology as well as numerous other information concerning your surroundings. This is also a great opportunity to take some awesome camera-shots. 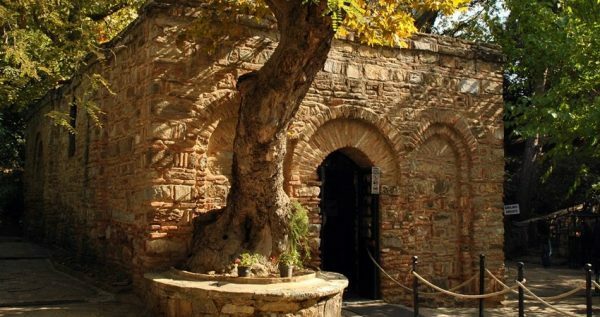 Once our visit to Ephesus is over, we will have a delectable lunch in a local restaurant. This lovely open buffet lunch, will be followed by some sweets and fruits. After lunch you will get one hour of free time to roam the around the town or just sit and relax in a local cafeteria. 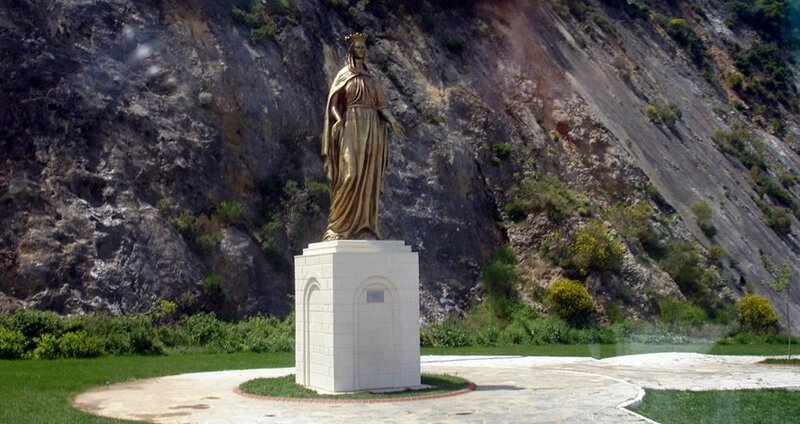 You can also visit some historical sites such as The Temple of Artemis or The House of Virgin Mary. At the end of the first day, we will arrive at our hotel in Pamukkale. You will get a chance to rest and unwind. Every room has air-conditioning and TV sets. 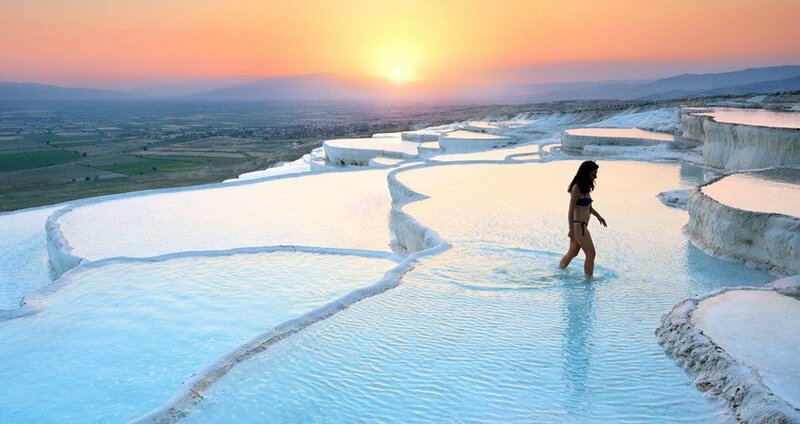 You can also take a swim in the hotel pool, or have a hot jacuzzi bath with thermal waters of Pamukkale. We will have an open buffet breakfast, followed by a cup of coffee or tea. After a healthy breakfast we wil head to the white cliffs of Pamukkale, which is just a short walk away from the hotel. Our experienced tour guides will give you all the information about the sites in Pamukkale, so you can choose where you want to go. 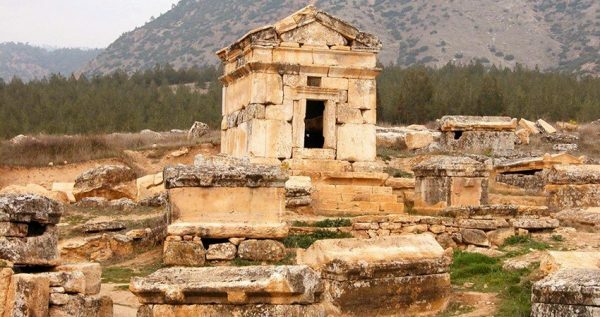 You can visit the white travertines, Hierapolis, necropolis, Cleopatra’s Pool and much more. Once our three-hour free time is up, we will board our spacious and comfy bus and head back. Within Marmaris Ephesus Pamukkale Tour we will also visit a local stone masonry. This little factory is famous for its large onyx stones. We will spend half an hour here, during which you will get to see how they turn onyx into a jewelry. We will have our lunch in one of our best restaurants in Pamukkale. This delicious open buffet lunch is included in the tour price as well. We expect to arrive back to Marmaris at approximately 6.30pm. 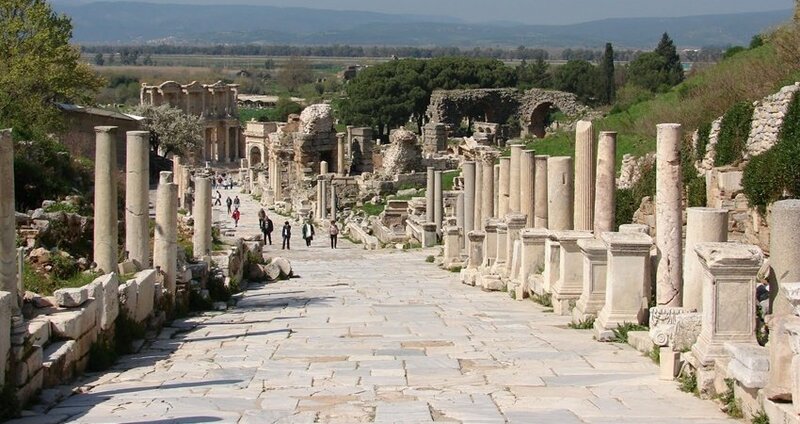 Whenever Marmaris Ephesus Pamukkale Tour is over, we will arrange transfers back to your hotels.